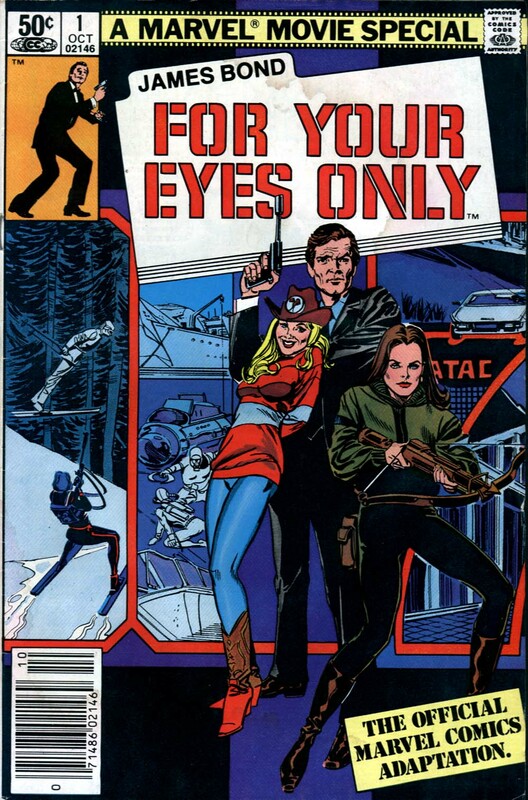 We are almost done with our run of comic covers from the 80's and while James Bond is an icon that has been around since the 1960's, the adaption of For Your Eyes Only was done by Marvel in 1981. While maybe not the most liked Bond film, the comics are a fun addition to any film fan's library as there weren't to many James Bond comic books at that point back then. You can usually find these in dollar bins at conventions so take a look and have some adventure with Bond.